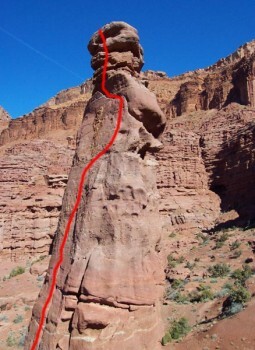 This route is bolder and more difficult than Entry Fee. A straight-in crack offers a few nut placements before it peters out to face moves. Next, 5.10a edges lead to a bolt before the route joins with Entry Fee. Sling the big flake and go for the wild summit moves. Which SuperTopo guidebooks include a topo for Leapin' Lizards?